Offering you a complete choice of products which include bocki boring cutter, industrial boring cutter, boring head cutter and boring cutter. Backed by rich industry experience, we are affianced in providing a qualitative assortment of Bocki Boring Cutter. In addition to this, our offered cutter is rigorously tested by our quality controllers against diverse parameters in order to deliver a defect-free range at clients end. Moreover, the offered cutter is extensively appreciated by our clients for featuring variegated attributes like easy installation and durability. We are an acclaimed entity, engaged in offering a wide range of Industrial Boring Cutter. Being a quality-oriented organization, we assure our clients that this cutter is the best in quality. As the name implies, offered cutter is mainly used in lathe machines for making bored in metal rods. 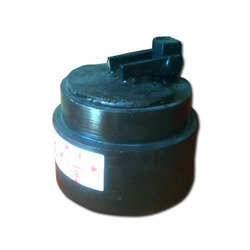 Moreover, our offered cutter can be availed in a wide range of sizes, as per the requirements of our esteemed clients. Keeping track with the market development, we are engaged in offering our clients with a wide collection of Boring Head Cutter. This cutter is used in different engineering and fabrication industries for making bored in metal rods. In order to ensure quality, this cutter is stringently tested on various parameters by our experts. Apart from this, remarkable quality and sturdy structure increase the demand of our offered cutter in the market. We have gained a remarkable position in the industry by offering a qualitative assortment of Boring Cutter. 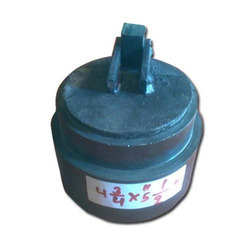 The offered cutter is mainly used for making bores in metal rods. Apart from this, the entire range is rigorously tested under the strict inspection of our quality controllers. This cutter can be availed from us in various specifications at market leading prices.